Searching for a fashionable accessory that goes with all of your outfits? 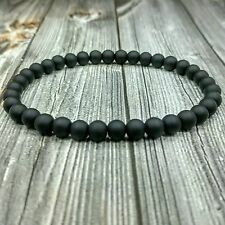 Add a few men's bracelets to your jewelry collection. 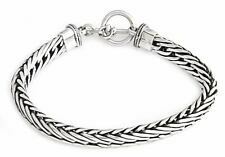 Men's bracelets are available in a number of styles, ensuring there is an appropriate piece for every occasion. 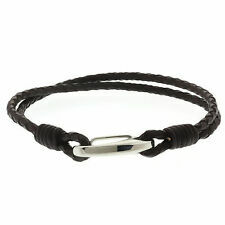 Whether you want a chunky masculine piece or a simple leather bracelet, sellers on eBay have what you are looking for. 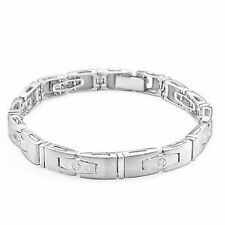 Men's bracelets are available in practically every type of material imaginable. Gold or silver bracelets are handsome additions to dressy outfits that call for dapper accessories. When you are heading out for a casual outing, such as catching the game or running errands, opt for less formal materials, such as leather or rubber. Find a style that works well with your personal sense of fashion. For example, if you prefer edgy attire, a thick leather cuff makes a statement. 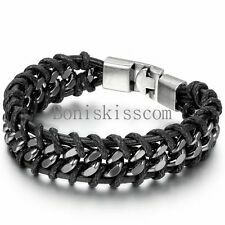 Braided bracelets suit those who like to pursue an active lifestyle, engaging in such activities as surfing or swimming. 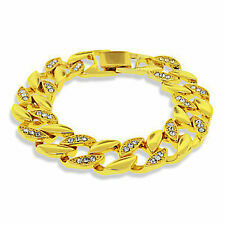 If you want a timeless bracelet that looks amazing with a number of outfits, a chain bracelet is a top selection. This classic design never goes out of style. 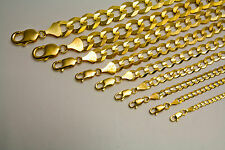 Thanks to the assortment of various chain sizes, it is easy to customize your look. Choose from small, nondescript styles, or pick a bolder style with a larger sized chain. Take your bracelet to the next level by picking a piece that incorporates fashionable details. A common item to include is stones. Diamonds, turquoise, and tiger's eye are all great materials to add to a piece you want to wear with dressy outfits. For less formal outings or if you just want to save money, choose less expensive adornments. Crystals, cubic zirconia, and hematite are just a few affordable alternatives. 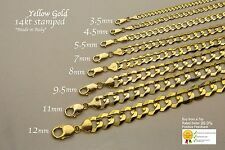 Another component to consider is the design of the clasp on your bracelet. Some men are comfortable with traditional chain clasps, while others find them tricky to put on. Nothing is worse than having to struggle to get your bracelet on. 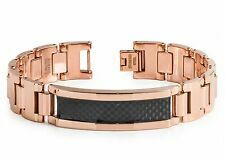 Magnetic clasps make it a cinch to put your bracelet on within seconds.